The Finn pipped Mercedes team-mate Lewis Hamilton to top spot by just 23 thousandths of a second, with the lead Ferrari of Sebastian Vettel three tenths down in third. Vettel beat Ferrari team-mate Charles Leclerc to fourth by 0.017s, the duo jumping ahead of Max Verstappen on their final runs. This was thanks to Verstappen failing to cross the line to start his lap before the chequered flag after becoming stuck in a queue of cars, with Vettel passing him at the hairpin late in the lap to ensure that he was able to make it through in time. That left Verstappen fifth, 0.542s off the pace and over eight tenths faster than Red Bull team-mate Pierre Gasly – who was also unable to complete a second lap. Daniel Ricciardo had only one fresh set of softs for Q3, but used it to beat Renault team-mate Nico Hulkenberg to eighth by just 0.004s. Toro Rosso driver Daniil Kvyat failed to improve on his first-run time Q2 having been seventh early on, meaning he was shuffled down to 11th and fastest of those eliminated in the second segment of qualifying. Perez was just 0.063s further behind in the best of the Racing Points, just over a tenth faster than the Alfa Romeo of Kimi Raikkonen. The Finn reported he lost some engine power over the radio after not improving by enough to make the top 10. 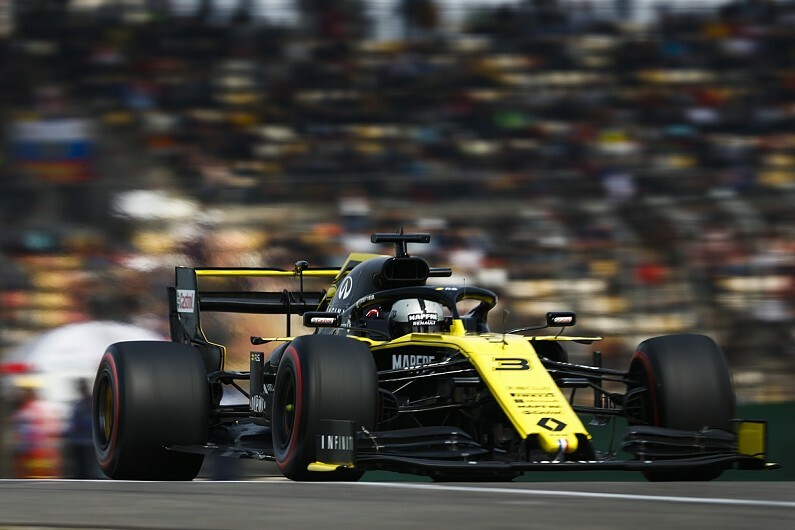 McLaren duo Carlos Sainz Jr and Lando Norris were 15th and 16th, separated by 0.444s, with Sainz admitting he was disappointed not to be four places higher after what appeared to be decent lap. Racing Point’s Lance Stroll was the only driver with a fighting chance of escaping Q1 not to do so, ending up 16th after lapping 0.144s slower than Norris – the third time this season Stroll has fallen in the first stage of qualifying. Will F1 make it to 2000 GPs? Podcast: What was the greatest GP car? Williams pairing George Russell and Robert Kubica were 17th and 18th, a second down on Stroll and separated by 0.028s. Antonio Giovinazzi was unable to set a time after hitting problems on his first run, suspected to be related to the engine. Toro Rosso driver Alex Albon did not participate in qualifying thanks to monocoque damage sustained in his crash at the end of the morning practice session.